Overall Dimensions 10.75 x 17 x 26 in. Fuel Capacity 0.67 US qt. 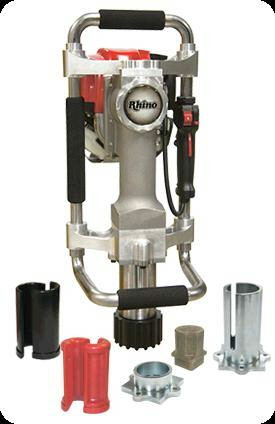 1 3/4" - 2 3/8"
* Please call us for any questions on our post driver gas 2 1/2 inch chuck rentals serving Windsor, Santa Rosa, Vacaville, Ukiah, Fulton, Healdsburg, Sonoma County and surrounding communities.